A few weeks ago, SHOT Show 2017 was held at the Sands Expo Center in Las Vegas. Held annually, this trade show (SHOT stands for Shooting, Hunting, Outdoor Trade) is not open to the general public, but by invitation only to those in the industry, including commercial buyers and sellers and media members. For me, the best part of SHOT Show is, well, everything. Joining 65,000 other men and women who love firearms and freedom is quite an experience. With more than 1,600 companies showing their products on the main floor, it’s difficult to see everything in the 4 days the show runs. I averaged 19,000 steps per day, according to my FitBit, which equals a daily distance of a little over 8.5 miles. Supportive shoes are essential. Of all the products and firearms I saw as I trekked through the aisles, here are my top 5 standouts. 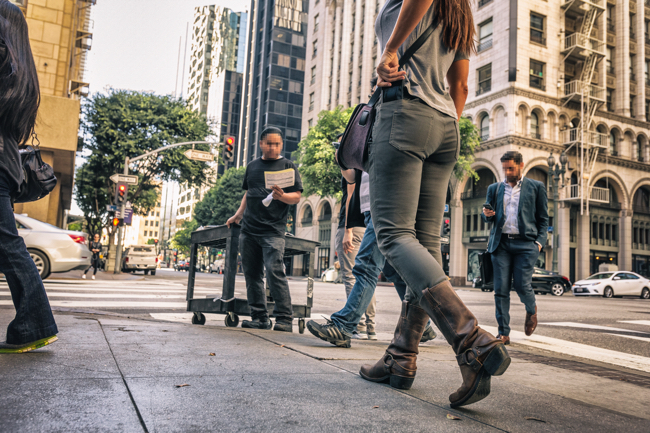 5.11 Tactical offers a variety of clothing, gear and uniforms for emergency response personnel and law enforcement officers, as well as the everyday citizen who’s carrying a firearm for personal protection or teaching on the range. One of the company’s new products that I’m excited about is its Wyldcat Pants. These pants are made of a stretch sateen fabric that can easily accommodate an inside-the-waistband holster. They have a total of 8 pockets, which can hold a cell phone, AR magazines, a pocket knife or anything else you want to carry. Finally, the most versatile option is the side-zippered gusset on the bottom of the legs: This allows for a straight leg or boot cut, which makes going from the range to dinner easy. Keep your eyes out for the new Men’s Defender-Flex Jeans coming soon, too. MSRP: $74.95. Crossbreed Holsters had its new Ladies Reversible Carry Belts on display, and they’re fantastic. I’ve had the opportunity to wear one for the past few months, and it hasn’t disappointed. The top-grade leather is black on one side and brown on the other. 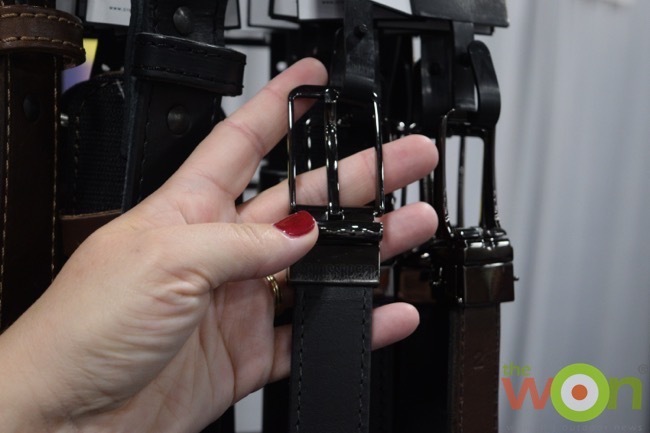 To reverse the belt, simply pull down on the flat base of the buckle and rotate. The buckle itself is available in three colors: chrome, gunmetal and gold. I’ve found that a lot of my pants have been designed with smaller belt loops, so the slimmer women’s belt fits better while still providing ample support for my holster and firearm. There are several options for men as well, including the Crossover Belt, which has a sturdy, rugged look while remaining stylish. MSRP: $64.05. 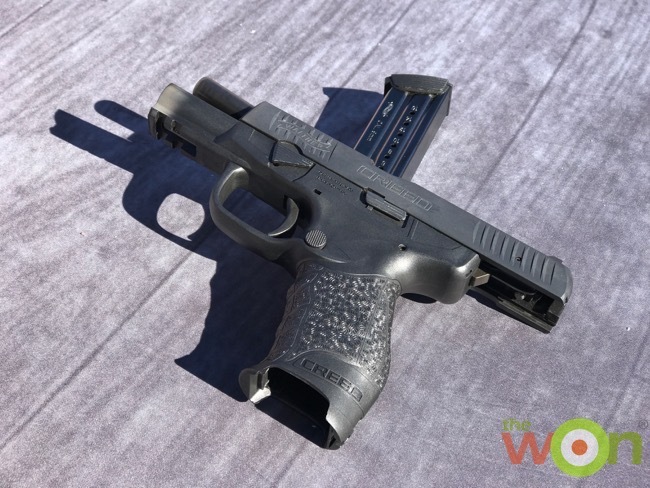 Walther Arms recently introduced the 9mm Creed pistol. This gun, like most of Walther’s pistols, has the company’s signature ergonomic grip that fits and feels nice in most people’s hands. It has a pre-cocked, double-action trigger that’s hammer-fired. The trigger break is crisp and clean, and since it’s pre-cocked it isn’t heavy. It has white 3-dot sights, front and rear slide serrations, and comes with 2 magazines. The magazine-release button is also reversible to accommodate left- and right-handed shooters. MSRP: $399. 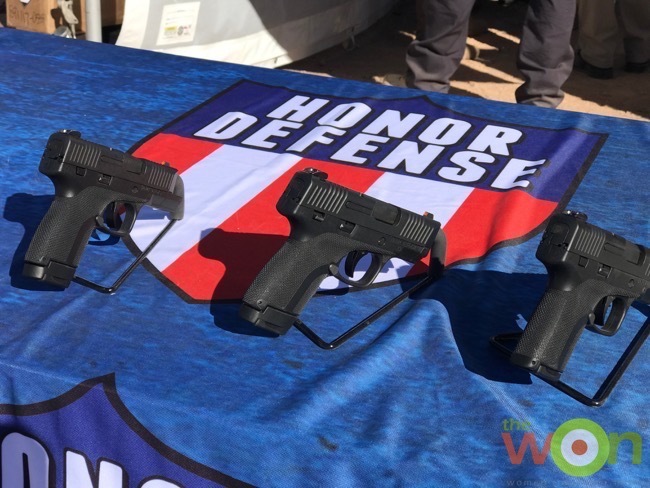 Honor Defense is a fairly new firearms manufacturer, but the people behind the company have plenty of experience. The Honor Guard 9mm pistol is a compact striker-fired semi-automatic, and comes with 2 single-stack magazines and 2 different-size backstraps. The stippling on this gun is similar to a mesh pattern, and unlike anything I’ve encountered so far. It’s not too abrasive, yet definitely helps with grip, extending up along the side of the frame, not just on the grip itself. The magazine-release button and slide catch are ambidextrous. Every part of this gun is made in the USA and is assembled by veterans. I feel patriotic just talking about it. MSRP: $499. My top pick in the training gear category is from Triumph Systems. 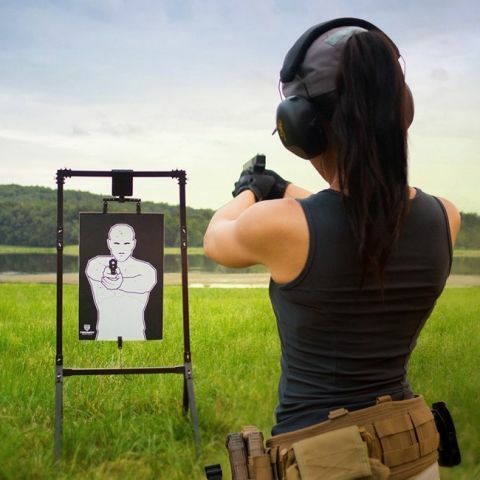 All of the company’s products and training equipment is designed to help you enjoy practicing with your firearm, yet challenge yourself with high-adrenaline scenarios. I love all of Triumph’s products, but my favorite is the Pivotal Trainer with Threat/No Threat targets. A target is randomly presented holding a cell phone (no threat) or gun (threat). This system increases stress and challenges the shooter to identify their target. Additionally, this system can be used with a laser gun, meaning that training isn’t limited to the range; it can also be used at home, similar to dry fire practice. Pivotal Trainer MSRP: $399. Threat/No Threat targets MSRP: $7.25/ea. I could go on about all the products and firearms that I saw at SHOT Show, but there’s not enough time in the day. Judging by the number of exhibitors and attendees at this year’s show, the year ahead looks promising. Did you attend SHOT Show this year? What are your top 5 picks?